O. chilensis of Michigan Flora. Deciduous (beech-maple and northern hardwood), mixed, and coniferous forests and thickets, frequently on thin soil over limestone or other rock, or along trails. Often growing with O. claytonii and O. longistylis. 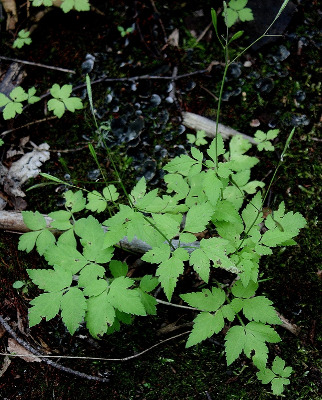 Originally described from Chile, this species is, like O. depauperata, disjunct to North America; and it is also a classic disjunct between western North America, the Black Hills, the northern Great Lakes region, and the east (Newfoundland to New Hampshire). Kartesz and Gandhi (1993) note that the name O. berteroi has priority over O. chilensis. The bruised roots often have at least a weak licorice odor. MICHIGAN FLORA ONLINE. A. A. Reznicek, E. G. Voss, & B. S. Walters. February 2011. University of Michigan. Web. 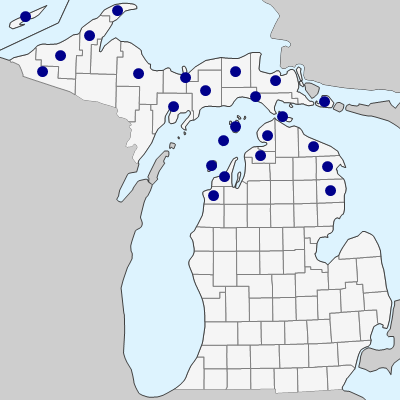 April 21, 2019. https://michiganflora.net/species.aspx?id=129.